Bank Jobs 2019: Candidates can get the plenty of Bank Jobs Openings 2019 from this page. We created this article to help the contenders those who are looking for the Bank Vacancies in 2019. Every year the Banking Sector releases various recruitment notifications in order to recruit the suitable candidates for various positions in multiple banks. At present, a huge number of contenders are searching for Upcoming Bank Jobs in India. But no one cant find the accurate news related to Bank Exams 2019. 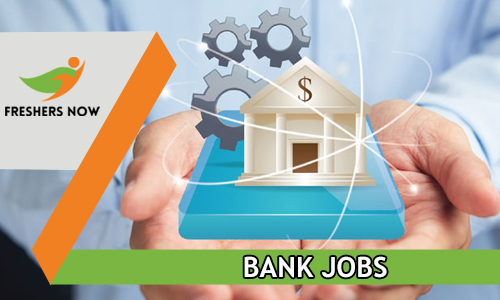 Of course, this is the correct place to check out the furthermore details of Banking Sector Jobs 2019. As per the latest news, there are lakhs of Posts in the Banking Sector. Through this article, Job hunters, who are looking for the Government Jobs, can find the Latest upcoming bank recruitment Notifications along with the govt bank jobs information. So, try to bookmark, this page. So, that you will get notified every time, whenever, a New Bank Recruitment Notification in India, is released. Nowadays the Bank Jobs 2019 is one of the most trending jobs. At the same time, competition is pretty high for Upcoming Bank Exams 2019. A huge number of candidates who have completed their 10th, 12th, Graduation and Post Graduation are mainly choosing their career into the Banking Field. Many of the people think’s that settling down with a Bank Job can set their life. As the Jobs in Bank has many other benefits and incentives. The benefits is grabbing the attention of all the unemployed people. By going through this page, all the job seekers can find Upcoming Bank Exams 2019 Full List. Bank Jobs 2019 is one of the trendy jobs in India. Contenders can check both Private and Public Sector Banks such as Bank of Baroda, RBI, IBPS, DNS Bank, Vijaya Bank, Syndicate Bank, Dena Bank, Central Bank Of India, Axis, ICICI, Bank Of Maharashtra, Union Bank Of India, HDFC Bank, Federal Bank, IDBI etc through this page. Our website www.freshersnow.com is the correct platform for the people those who are looking for the Bank Jobs 2019 along with Upcoming Bank Jobs in India. Bookmark this page by pressing cntrl+d and get the latest Bank Openings 2019.